Devastation from the Nepal earthquake and associated seismic activity continues to escalate along with the staggering death toll, now numbering in the thousands. Dr. Michio Kaku returns to ‘CBS This Morning’ to answer the tough questions and reveal the science behind the cataclysmic events responsible for this tragic loss of life. WATCH NOW! 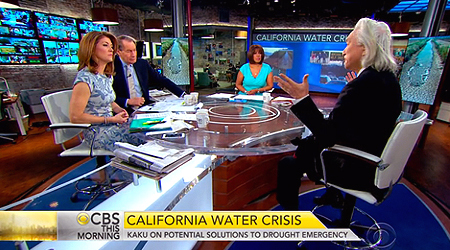 RELATED (APR 20, 2015) – The drought in California intensifies as local legislators take last resort measures. 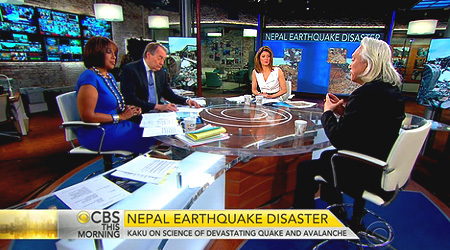 Dr. Kaku visits ‘CBS This Morning’ to explore the issues. CLICK NOW!